Fire Power 5 Points Shoot those censor boxes! Well Informed 5 Points Secret Medal: Unlock this medal to view its details! Secret Room 25 Points Secret Medal: Unlock this medal to view its details! Side Effects Include.. 5 Points Talk to the suspicious caravan. 10 Points Get a level 5 blue tower. Green Mastery 5 Points Get a level 5 green tower. Red Mastery 10 Points Get a level 5 red tower. Yellow Mastery 25 Points Get a level 5 yellow tower. Puzzle Mastery 50 Points Get level 5 of all towers. 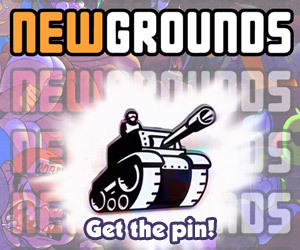 10 Points Unlock the secret Newgrounds treasure. 25 Points Unlock the last stage of the game.